The Palestinian Prisoners’ Society (PPS) has reported that Israeli soldiers abducted, on Tuesday at dawn, at least fourteen Palestinians, from their homes in several parts of the West Bank, especially in occupied East Jerusalem. The PPS office in Qalqilia, in northern West Bank, the soldiers abducted two children, identified as Khaled Morad Eshteiwi, 13, Awad Mansour Obeid, 14, in addition to Emad Ahmad Eshteiwi, 46. The soldiers assaulted the three Palestinians in their homes, before abducting them. In addition, the soldiers invaded homes in Nur Shams refugee camp, east of the northern West Bank city of Tulkarem, and abducted a young man, identified as Ahmad Marwan Shehab. The soldiers also stormed and ransacked many homes in the refugee camp, Shweika area in Tulkarem, and Deir al-Ghosoun town, north of the city. In Bethlehem, the soldiers invaded homes in Doha town, west of the city, and abducted Omar Mousa Qawwar, 17. The army also fired live rounds and rubber-coated steel bullets, during protests that took place during the invasion. In occupied Jerusalem, the soldiers abducted Waseem Eyad Dari, 16, Saleh Bader Abu Assab, 18, Mohammad Mer’ey Dirbas, 18, Hussein Jamjoum, 20, and Mahmoud Sa’adi Rajabi, from their homes in al-‘Isawiya, in the center of Jerusalem. The soldiers also abducted Abada Siyam, and his brother Abdulla, from Silwan town, south of the Al-Aqsa Mosque in Jerusalem, and a young man, identified as Bassem Zayed, from his home in Qalandia refugee camp, north of Jerusalem. 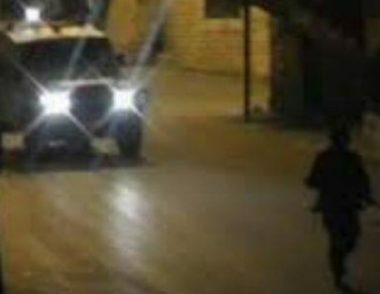 Furthermore, the soldiers invaded the al-Fawwar refugee camp, south of Hebron, in the southern part of the West Bank, and Beit Ummar town, north of the Hebron city, before abducting a young man, identified as Mohammad Abdul-Mo’ti Ghatasha, 26, as and summoned another Palestinian for interrogation.